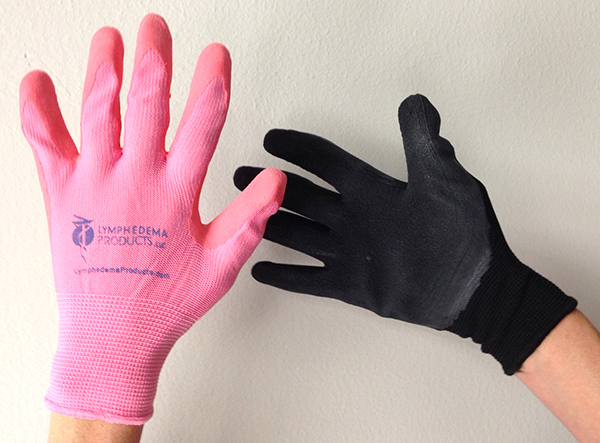 Lymphedema Products is proud to present the Ezy Glove. These donning and doffing gloves are an easy way to help extend the life of all compression garments from stockings to arm sleeves. The Ezy Glove feature an extra strength super gripping palm that makes donning and doffing compression garments effortless and helps protect garments from snags, runs and tears caused by fingernails and jewelry. They are extremely durable, form-fitted for comfort, washable, and are available in colors that appeal to men and women. This product has 19 reviews with an average rating of 4.8 stars.